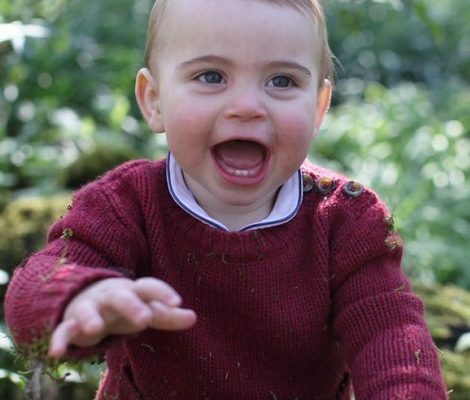 As we are gearing towards Christmas, We are getting more and more royal treats from Cambridge family. This week, Duchess of Cambridge Catherine was seen not just once but twice for Christmas celebration also Kensington Palace released the family portrait of Cambridge family ahead of Christmas. On 14th December, Daily mail posted candid photographs of Duke and Duchess of Cambridge leaving exclusive Notting Hill dinner venue Beach Blanket Babylon after a night celebrating the Kensington Palace annual staff dinner. As per the Daily Mail reports they were also joined by Prince Charles and Prince Harry. 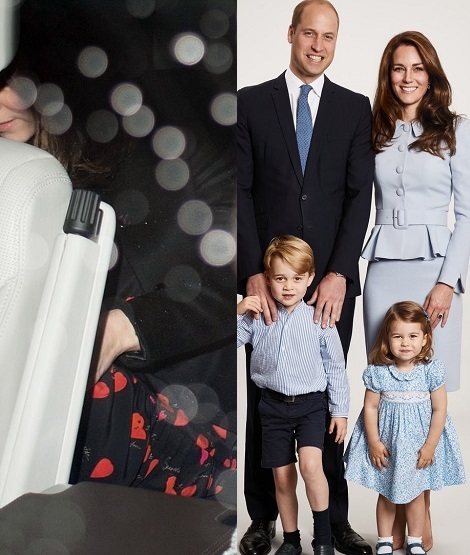 As no clear pictures are available, from very small shorts of Duchess, it seems Kate was wearing a black Alexander McQueen dress featuring petal and script motifs. 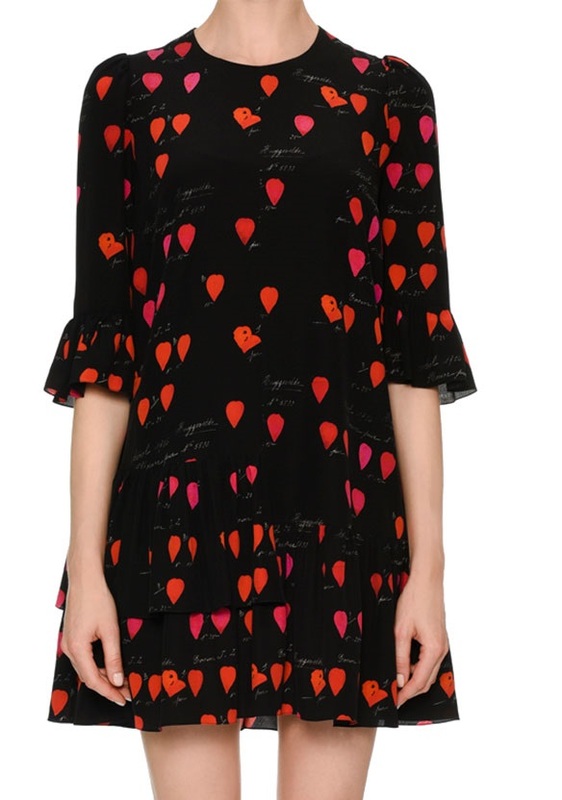 The silk crepe de chine trapeze dress in 100% silk has an all-over petal print. 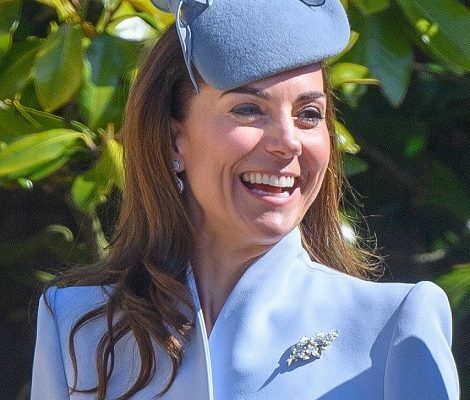 It features jewel neckline with 3/4 sleeves with ruffled cuff, a soft ruffle gathering on the shoulder, and an asymmetrical ruffle detail on the hem.The dress is currently retailing at Alexander McQueen, Neimun Marcus for $2045. 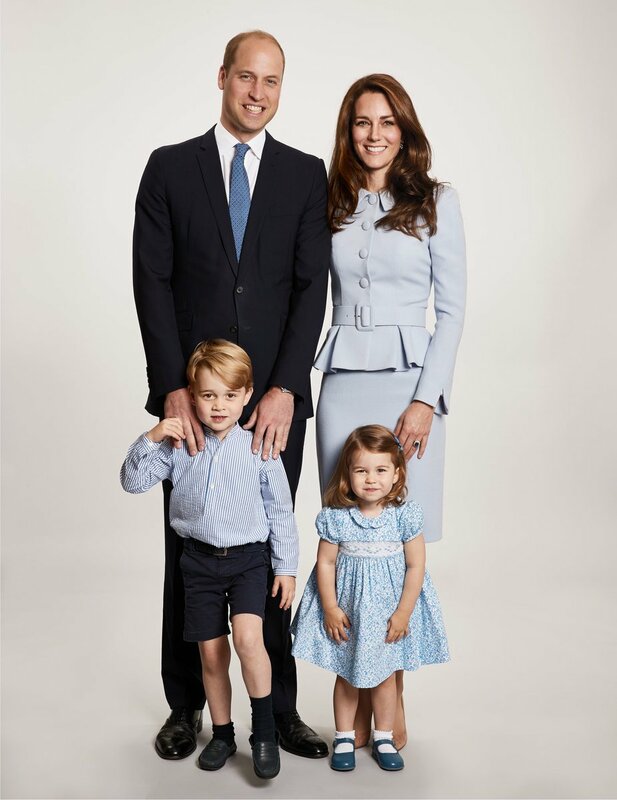 On 18th December, Kensington Palace released a new family picture of Cambridge family that will also be used on their Christmas card this year. Once again the Cambridge family was wearing colour-coordinated outfits. 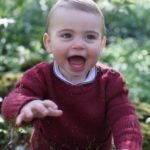 Prince George was wearing the outfit that he was wearing in the photographs released on his 4th birthday. While little Princess Charlotte wore the same pretty blue dress, shoes and bow for the Royal tour of Germany, when the family landed in Berlin. 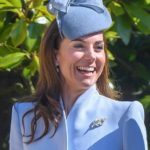 Duchess of Cambridge Catherine is wearing her bespoke blue Catherine Walker skirt suit. 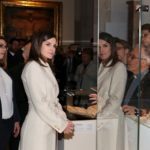 Duchess premiered the ensemble for her first solo overseas visit to the Netherlands last year. 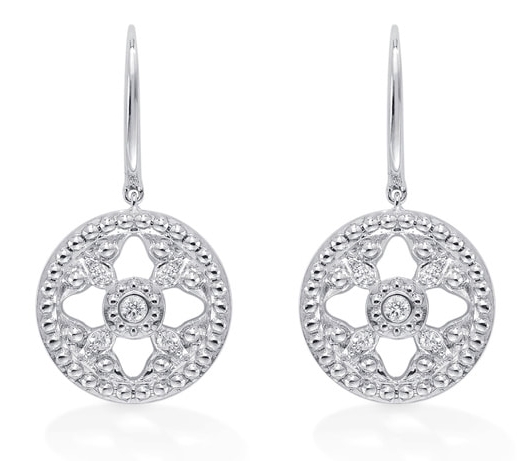 Duchess paired the outfit with her trusty Gianvito Rossi praline pumps and Mappin & Webb Empress Drop Earrings.